Major works, such as books and plays need to be either underlined or italicized. 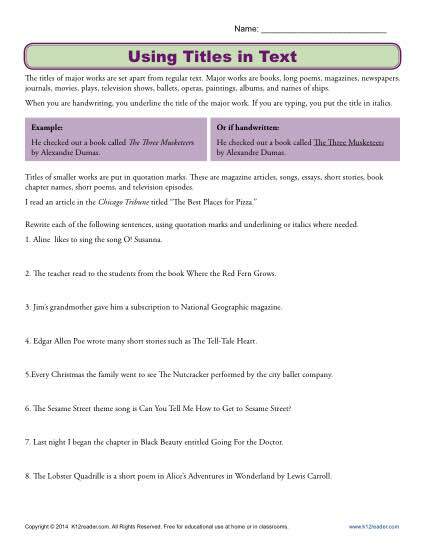 More minor or shorter works, like songs or short stories, are enclosed in quotation marks. It’s an important difference for students to learn. This worksheet asks your youngster to correctly format titles in a variety of sentences. It’s perfect for Common Core Standards for 5th grade Language, although you may also like it for other students.